 PDM University is delighted to welcome outstanding students to our courses. We understand that undertaking higher education is a major financial decision, which is why we have a range of discounts and scholarships available. The scholarship will be valid only for the first year of study. The scholarship is not applicable for any industry linked programs such as B.Tech in association with IBM, BBA in association with IBM etc. Above Scholarship is applicable for CBSE Board Students and Haryana Domicile only. *** Note: The above scholarship will be an additional reward to the student on top of his/her existing scholarship benefit (if any) and Applicable for entire course duration. On-fifth of the twenty-five percent shall granted full fee concession. the balance two-fifth of the twenty-five percent shall be granted twenty-five percent fee concession.